The invention of the printing press facilitated incredible progress in the world of ideas, leading to wonderful expressions of intellectual life. Literature took on new life and the arts reached heights unreachable by future generations. Numerous artisans of ancient Greece reincarnated in Italy to leave indelible vestiges of their passage in precious marble (Xavier, 2011, p. 170). future, sought to apply the grand principles of the French philosophers to their political life on their way to a more complete emancipation (Xavier, 2011, p. 192). One of those grand principles was the freedom of speech. 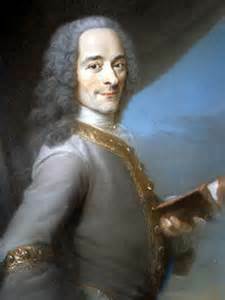 Voltaire said, “I disapprove of what you say, but I will defend to the death your right to say it” (Voltaire, 2013). How more direct could you be? By that simple sentence Voltaire set in stone our right to free discourse. 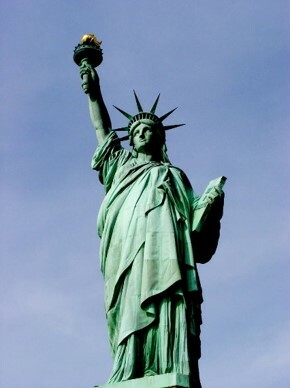 We must be able to express ourselves without fear, as Montesquieu postulated, “Political liberty in a citizen is that peace of mind that comes from the opinion each person has of his safety, and to have this liberty, the government must be such that a citizen cannot afraid of another” (Montesquieu, 2013). Freedom of speech; how many of us take it for granted? While on all sides, even those of us who live in “free” countries, are guarded in what we say and even attempt to mask our innermost thoughts. We must actively protect our rights or what occurred during the times of the Catholic Inquisition could indeed happen again. The repression of the “heresies” was the pretext for the Church’s consolidation in Europe, becoming the punishment and misfortune of the entire world (Xavier, 2011, p. 156). Countless other examples may be found in modern times, Communist countries such as North Korea, Cuba and the extinct USSR, are all guilty of the severe repression of speech and thoughts. In North Korea, if you failed to show sufficient remorse during the funeral of Kim Jong-Il (deceased dictator of North Korea who died in 2011), you were hauled off to one of North Korea’s many concentration camps. “To do so is to fail in charity and to infringe on freedom of thought” (Kardec, 2010). As an example, many people are afraid to discuss religion publicly. Those that do are looked upon as simple or ignorant in our more sophisticated circles. We must resist the temptation to remain safe and silent. We must calmly and logically state our beliefs and allow dissent, with the knowledge that at least we are keeping the tradition of friendly debate open and alive. Learn more about the spirit realm in my book, 51 Disclosures from Spiritism – The 3rd Revelation.